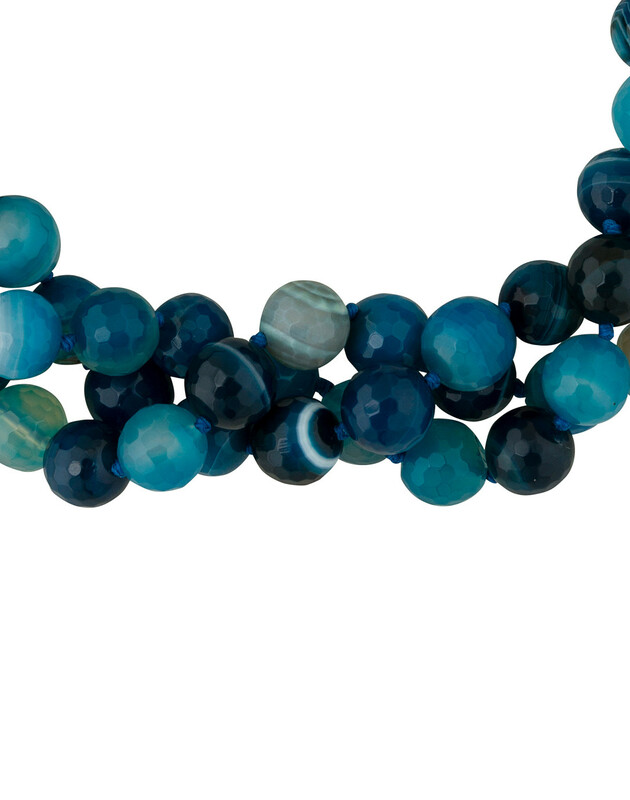 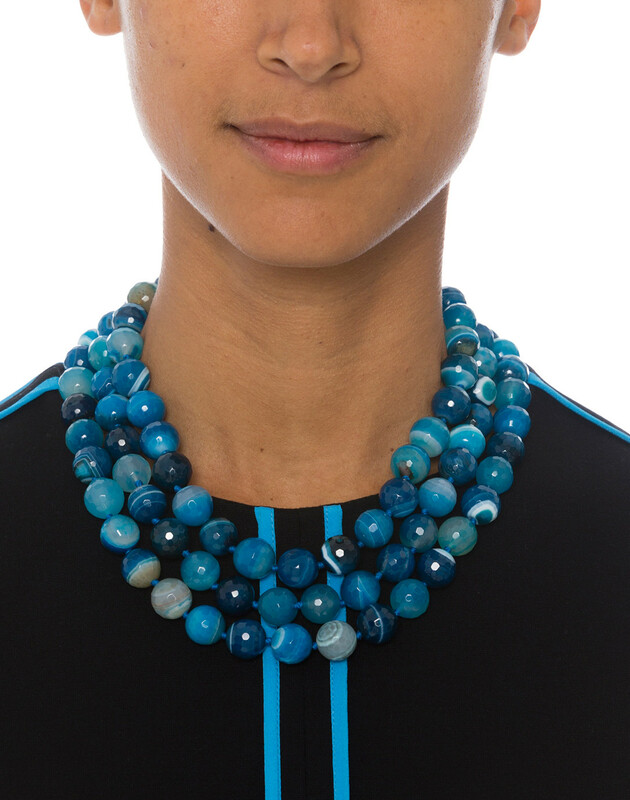 Bring striking flair to a simple dress with Kenneth Jay Lane's blue beaded agate necklace. 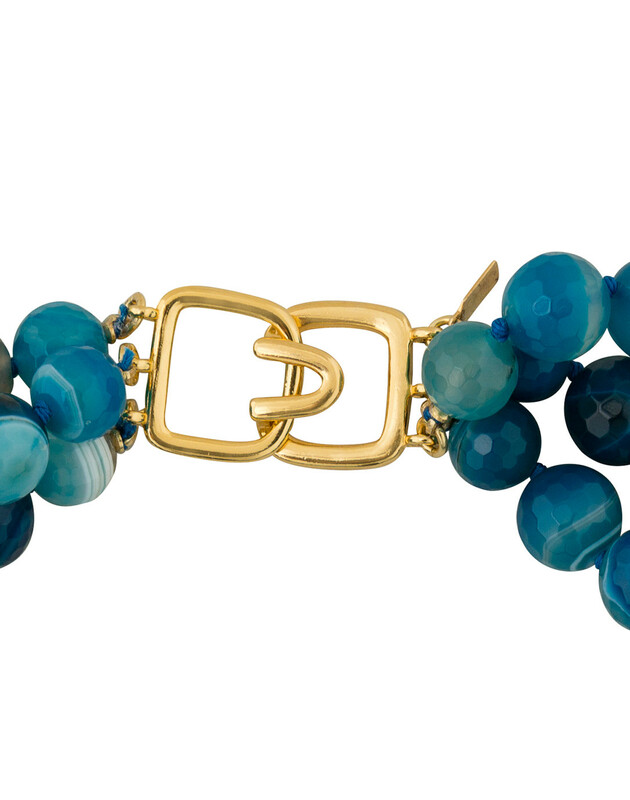 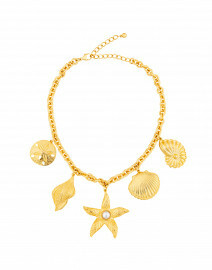 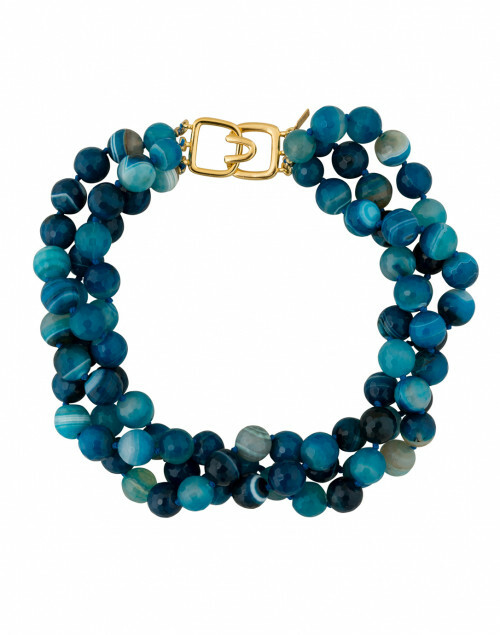 It's comprised of round beads in varying shades of blue with a gold plated hook closure. 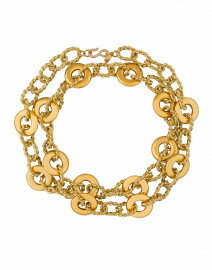 Style it with a black dress for a playful, feminine look.